Why do babies fight sleep so much? As strange as it sounds, a baby being overtired is one of the most common causes. In this article, we'll reveal how to get an overtired baby to sleep with the top 10 tips from veteran mommies. 1. What is overtiredness in babies? My Overtired Baby Won't Sleep! As a new mom, there are many things that we’re unprepared for, and a newborn fighting sleep even when they're exhausted is definitely one of them. In the midst of the fog of tiredness and t-shirts covered in spit up, the last thing you want to deal with is a situation where your newborn fights sleep. Although it isn’t the end of the world, it might feel as if you’re trying to juggle their exhaustion as well as your own. You’d think after 6 naps this little powder puff would be well rested but, unfortunately, babies need far more sleep than we do (16-20 hours, to be exact), so what do we do? What is Overtiredness in Babies and Why Do Babies Fight Sleep? Overtiredness is the state of exhaustion that babies reach when they’re so tired that they become hyper. Toddlers can also experience overtiredness, so the lessons you learn now will definitely come in handy later! Have you ever pulled an all-nighter in college and found yourself with so much unexplainable energy? The stress that is put on your body from lack of proper sleep is what causes hormones such as cortisol and adrenaline to rise, keeping the brain awake and alert. So when babies don’t get enough rest, their brains release these same hormones as a way to keep the baby awake even when they’re tired. 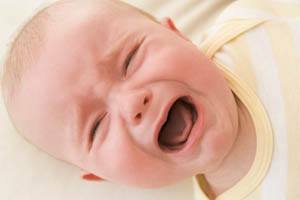 Too much sensory stimulation can cause overtiredness in babies, most especially newborns. 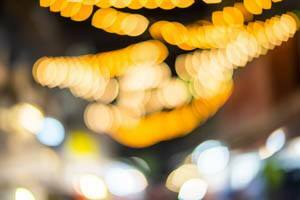 Bright lights, loud noises and a lot of people are some of the main factors that contribute to overstimulation. If you’re a new mom and are excited about letting all of your friends and family to come over to see the baby, you may want to reconsider. Some other factors that contribute to overtiredness is not sleeping enough times during the day, as well as not sleeping long enough. If baby isn’t staying asleep for at least 1 -2 hours at a time, they probably aren’t getting as much sleep as they need to. Newborns shouldn’t spend more than 45 mins-1 hour awake, and babies that are 6 months -11 months shouldn’t spend more than 2 hours awake. If baby has missed his nap, your best bet would be to get him to sleep as soon as possible. What you don’t want to do is feed into that whole “the longer they stay up, the better they’ll sleep” mindset. The longer baby stays up, the more stressed his little body will become. The more stressed his body becomes, the more adrenaline and cortisol his brain releases. The more adrenaline and cortisol coursing through his body, the harder it will be to get him to sleep. How do you even know if your're baby is overtired? What if your baby is just grumpy? Now that you understand why your baby is carrying on like they’ve had 3 shots of espresso, it’s time to buckle down and get that tired baby to sleep. Let me warn you that this will not be an easy task at first. It takes practice. You have to learn your baby's unique preferences. Putting an overtired infant to sleep is a lot of work, mainly because the majority of your time will be spent trying to wind them down and relax them so that their cortisol levels drop and those lovely melatonin (sleep-inducing hormone) levels rise. One of the best strategies is to learn to tell when there are baby sleep signs. If your baby is experiencing multiple symptoms discussed above, get them to sleep as soon as you can. With that being said, here are 10 of the best tricks on how to get an overtired newborn to sleep. Try them all and see what works best! Then master the ones that are the most effective. Lights, loud noises, and being around a lot of people will distract baby, making it harder for him to relax and fall asleep. You will need to retreat to a quiet, dark room so that your baby can begin to relax and get ready for bed. This is one of the best approaches for how to calm an overtired baby. If baby is hyper, doing a soothing wind-down activity may be your best bet. You know your child the best, so give him a toy that he really likes that doesn’t make noise or light up. He can play cuddles with his teddy bear, you can sing a soothing song with him, or let him chew on his favorite teething ring…the possibilities are pretty much endless but your main goal is to try to get him to focus on one thing that calms him. During baby’s actual bedtime, you should consider bathing him with products that contain lavender. Lavender produces calming sedative effects which can help baby relax and encourage him to sleep. Studies have shown that lavender can actually slow the activity of the nervous system resulting in better sleep, improved mood and lower stress levels. One of the most underrated techniques I’ve found is baby massage. When done properly, massaging your baby can relax and soothe him which is very important when trying to put an overtired infant to sleep. Massage helps to stimulate the baby’s nervous system, but causes cortisol levels to drop and serotonin (mood stabilizing hormone) levels to increase, resulting in a relaxed, sleepy baby. Some hospitals offer infant massage classes for free, usually as part of their parenting classes. Once baby’s belly is full, there’s a higher chance of him wanting to sleep and staying asleep longer. Try to get your baby to feed, but don’t force him. If he isn’t interested but is still fussy, make sure he’s not gassy by burping him. Since the swaddle mimics the warm closeness of the womb, the baby is more likely to wind down and relax. If your baby isn’t a fan of the swaddle, just try wrapping them up in a receiving blanket and cuddling them yourself. Cuddles make everything better, right? Try rocking your baby if he's a fan of movement. You can use this method to calm him down and get him ready for bed. What to do if you don’t have a rocking chair? You can simply sway back and forth with your baby until he calms down. If he’s still a bit agitated and doesn’t want to be held, try to see if putting him in his swing works better. White noise has been shown to provide many relaxing benefits since it mimics the sounds baby heard in the womb. There are many different white noise options ranging from box fans to rain, but you’d have to find one that suits your baby’s personality. The gist of white noise is that it is a mixture of frequencies, so the baby can’t be “distracted” by it noise because they can’t necessarily focus on one frequency over the other. The noise is comforting to your baby, because it’s constant and blocks out sounds that can cause stimulation. This ability to drown out surrounding noises makes it easier for baby to both fall asleep and stay asleep, so if your loud-talking family is visiting you won’t have to worry about the noise distracting baby when he goes to bed! When all else fails, a little bit of fresh air always seems to do the trick! I honestly have no idea how or why taking the baby for a walk works, but I think that it’s the combination of steady motion with the fresh air. Baby carriers are currently all-the-rage in the U.S. Not only do they free your hands up so that you can still get some work done around the house, but babies love the closeness and have the tendency to fall asleep in them. 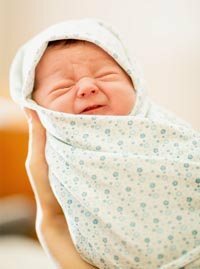 Your warmth, the sound of your heart beat, and the semi-swaddled constriction will undoubtedly soothe your baby and relax him enough so that he’ll finally fall asleep. Now you know how to spot the overtired baby signs. Putting an overtired newborn or infant to sleep is not an easy feat, but it's definitely rewarding in the end. Newborns fighting sleep can be a real challenge to new mommies. Be patient. You also know what to do when baby is overtired. Try your best to get your baby on a consistent sleep schedule so that they don’t reach a state of overtiredness and be sure to pay attention to baby’s tired cues. If you see him yawning, rubbing his eyes or tugging his ears, chances are he’s sleepy. Stop whatever you’re doing if you can, and put him to sleep. Turn off the pot of spaghetti, forget the laundry, pause YouTube, lay your little one down and let him get his rest. A rested baby is a happy baby, and a happy baby makes an even happier mommy.